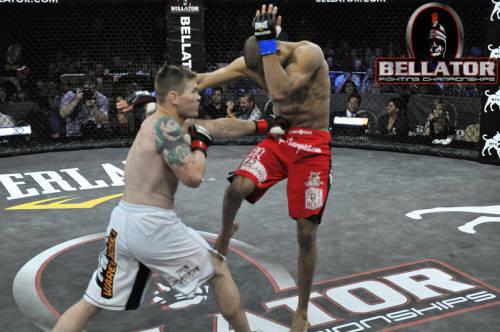 While there was no shortage of captivating storylines throughout Bellator’s 2013 campaign, one of the more intriguing came as a result of Joe Riggs, who went on to win the promotion’s “Fight Master” competition. Although Riggs had won five straight bouts before he agreed to participate in the reality show, the UFC vet had decided that if he didn’t win the tournament, he’d hang up the gloves. Thanks to wins over Eric Scallan, Evan Cutts, Cole Williams and most recently Mike Bronzoulis, few people are questioning where Riggs’ career is headed now. 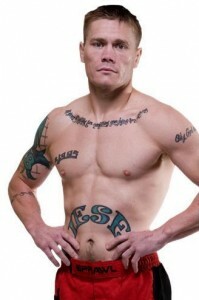 Longtime observers of MMA know that at one point, Riggs was one of the UFC’s top welterweights, but personal issues and a battle with drug addiction eventually set back his career. The 31 year-old vet turned things around, however, and Riggs has been quick to credit the MMA Lab’s John Crouch for his recent successes. As a result of handing Bronzoulis a unanimous decision loss at Bellator 106 in November, Riggs secured an extra $100,000 for his family, and will compete in the promotion’s upcoming welterweight tourney. At Bellator 112 on March 14th, Riggs (40-14) will take on Sam Oropeza (10-2) in the tourney’s opening round. Riggs is but one of several well established fighters who trains out of the renowned Glendale gym, which is also home to the likes of Benson Henderson, John Moraga, Efrain Escudero and John Tuck among others. Bellator 112 will be hosted by the Venue at the Horseshoe Casino in Hammond, Indiana. The card will feature welterweight champion Daniel Straus taking on former champ Pat Curran in the main event.